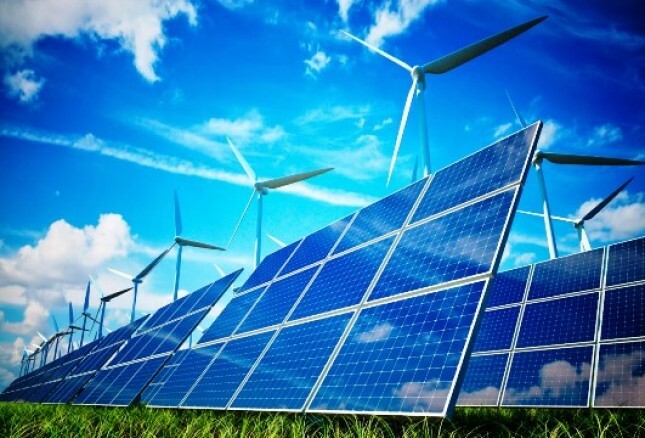 INDUSTRY.co.id - Jakarta, the National Energy Council (DEN) said it will accelerate the energy mix of New and Renewable Energy (EBT) by 2025, by 23 percent as agreed at the 21st Conference of Parties in Paris some time ago. In addition, DEN also proposed three breakthroughs to accelerate the Use of Renewable Energy (EBT) to the government. This breakthrough is necessary because until now the achievement of EBT mix is ​​still minimal. DEN member Abadi Poernomo said that until the end of 2016, the EBT mix is ​​still 7.7% of the target of 10.4% whereas until 2025 the target should reach 23%. "There must be acceleration to achieve EBT according to RUEN, no longer possible with the usual things done" said Abadi at the Ministry of Energy and Mineral Resources, Jakarta, Friday (4/8/2017). He added, there are several steps that can be done by the government to pursue the target. First is the acceleration of the completion of the General Draft of Regional Energy (RUED) in 34 provinces. This is a mandate from the General Plan of National Energy (RUEN) which requires that RUED be completed by 2018. To accelerate the preparation of the RUED, ​​DEN will cooperate with the Ministry of PPN / Bappenas. They will include the program in the RUED in each region into the National Medium Term Development Plan (RPJMN) so that it goes to the regional planning. To date, out of 34 provinces, there are already seven provinces that have budgeted RUED activities. The seven provinces are Banten, West Java, DKI Jakarta, Bengkulu, Central Java, Central Kalimantan, and West Nusa Tenggara (NTB). In addition there are 15 provinces that have compiled RUED but have not budgeted it to the Regional Budget (APBD). Among these are Aceh, North Sumatra, Riau, Riau Islands, Jambi, Bangka Belitung, Bengkulu, Lampung, Yogyakarta, Bali, South Sulawesi, West Sulawesi, South Kalimantan, West Kalimantan and East Kalimantan. While the other 12 provinces still need special attention because it has not been actively doing the preparation of RUED. Later Bappenas will facilitate the local government in the 12 provinces to immediately formulate the RUED. Another step of accelerating EBT's target mix is ​​to encourage the development of solar panels. In order to be quick, the construction of such panels can be done in government and private sector buildings. "Acceleration of solar panels, solar panels in all sectors especially government buildings and private, private, factories," he explained. Third is the acceleration of the use of B20 on the vehicle. So far the utilization of B20 has not been significant because the existing vehicle engine has not been supported as a result when the entry into the engine quality becomes low. To solve the problem currently BPDP Sawit is conducting a study. Upon completion of the review will be submitted to the ESDM Ministry and the Ministry of Industry for further discussion.